Synaptic Package Manager will be no longer shipped as default application as an update today removed it from CD. However, it will be easily installable from repositories. Ubuntu Software Center does not yet match same level of advanced functionality as Synaptic but more features will be introduced as there was a discussion during UDS to bring better package management features to USC. Also, Deja Dup will be now installed by default as the backup utility in Oneiric. 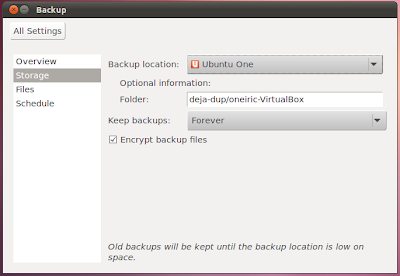 Few days back, Deja Dup got integration with Ubuntu One so that you can easily backup your files in cloud.